I am totally loving these new MoYou plates I've gotten lately. I much prefer them to my other plates that I sold. It was worth it to me. They keep putting out new and more fabulous plates every Friday. I need to stop looking! Can you believe it's December already? I sure can't. Black Friday is over and there are stories of violence and stupid behavior all over the country. One over a parking space at Walmart. Really people? Was it worth it to stab someone over a parking space that landed you in jail? I honestly don't get it. It's just plain stupid. Nothing is worth that. A few bucks off a TV? Nope. Plus, the stores open earlier and earlier on Thanksgiving day. Pretty soon, they'll just stay open the whole holiday day. They've coined it Brown Thursday. Makes me think of poop. Sorry, but that's where my mind goes. Another story called it Grey Friday. I prefer that one. Am headed over to a friend's house later today to play with his race track. I haven't played with one of those since I was a kid and my brothers and I had one. We have a wager that whomever wins the race has to cook lunch for the other. Of course, I'm all bravado and think I'm going to win, but reality is, it's his track and he's had the practice. So I just hope to have a good showing! HAHAH! 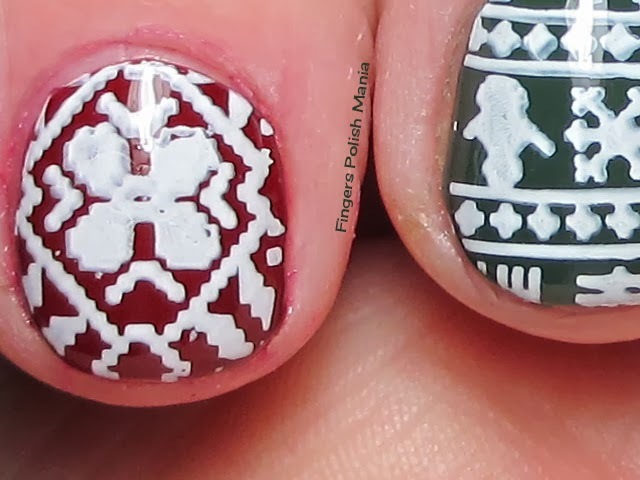 Now you all remember my Christmas Sweater manis from last year, where I took the same design and did three different manis using different color schemes. Imagine my joy when one of MoYou's new plates was full of sweater designs!!! A must have for me just like the snowflake plate. Oh and I am trying out a new brand to me today as well. Here is the silly bottle shot. 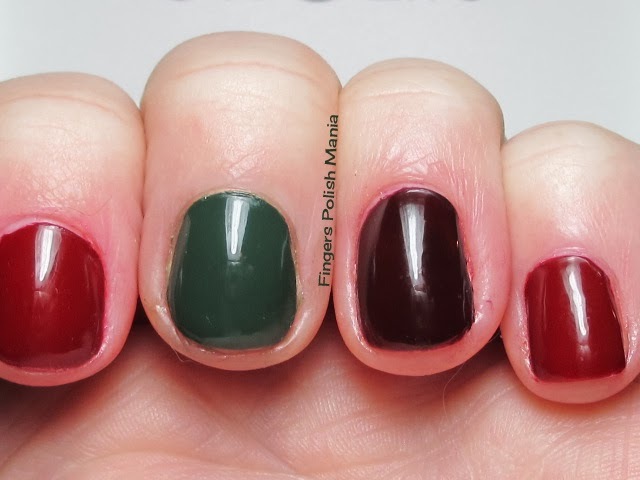 This is Zoya Hunter with Mischo Front Row and Backstage Beauty. 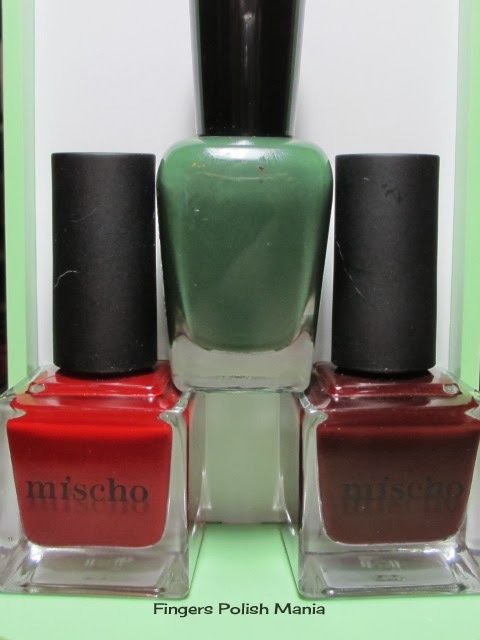 Aren't these Mischo pretty? I started with skittles. The sun was not playing nice. Now this Front Row, the lighter red was awesome, brush was nice, formula was nice. It stained like a PITA, but was good polish. The Backstage wasn't as easy to use. It seemed to do the drag thing. 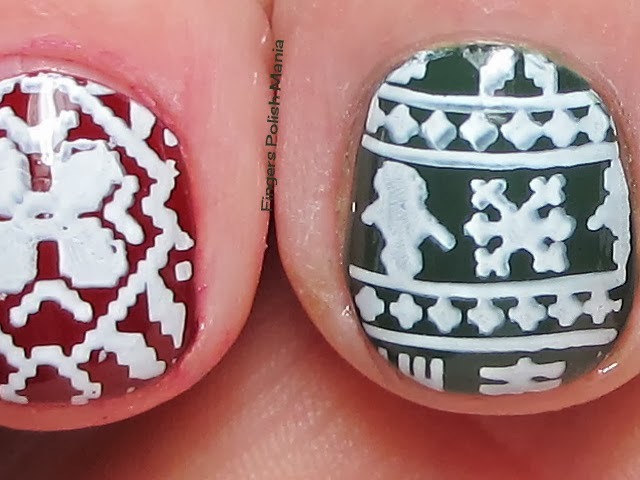 Now I was simply playing with my new plate so I did different designs on each nail. They are not as crisp and perfect as I normally do. Not sure if it was me, the plate or the polish. I'll have to try again. Which one is your favorite? 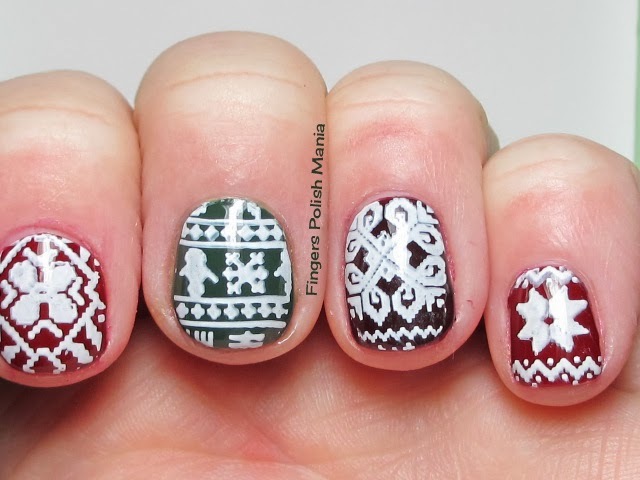 Mine is the ring finger pattern. Now there are a ton of others for me to play with. Here's a picture of the Festive 4 plate. Check out this awesomesauce of Christmas joy!!!! Figured this would be perfect for the first of December.